Now that we are in the holiday season, many people are looking for laptops for themselves, spouses, or kids, but this year, most new laptops will come installed with Windows 8. Microsoft has redesigned its user interface for desktops, laptops, tablets, and hybrid devices (smartphones were excluded from this redesign). Windows 8 comes in several versions, as previous operating systems have, but Windows 8 Pro is the only version currently available on Microsoft’s website. 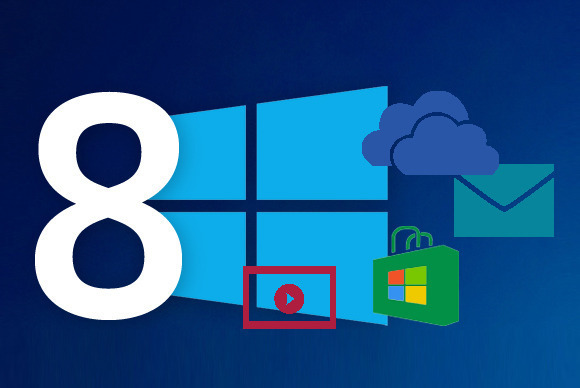 This version includes everything Windows 8 includes as well as some built-in tools targeted toward business users. The boot time has been reduced to eight seconds and it will boast 3G/4G support. Windows 8 is also introducing an app store similar to the markets/stores you would find on a smartphone and this is the first Windows operating system that gives the user easy access to store files using Microsoft’s SkyDrive service, similar to Google’s Cloud Connect. Tech Republic points out that there are reasons for businesses not to upgrade such as the need for massive training, lack of a corporate desktop, and the hardware outlay to migrate to a touch interface. For businesses as well as consumers, the removal of the start button has been the source of much discussion as well, however, a setting can be changed and the start button can be reinstated. If you are currently running Windows XP or Vista, the security and performance improvements of Windows 8 will be a benefit. If you’re running Windows 7, you can either upgrade to the latest and greatest or wait until your next computer purchase for it to be factory installed. Either way, there is always a learning curve. 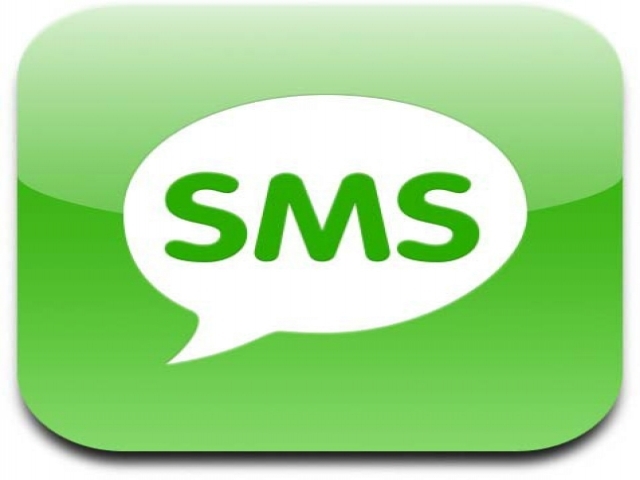 SMS or app: How do you message your contacts? Informa Telecoms and Media is forecasting slower growth or a small decline in SMS (short messaging service) revenues over the next five years, but say that the compound annual growth rate will be 3%. Carriers are expected to generate $722.7 billion in SMS profits during this time. A report in February 2012 by analysis firm Ovum claims that network operators lost $13.9 billion in 2011 to mobile messaging apps. With the advent of apps such as Google Talk, Meebo, and Trillian to name a few, you can message your friends for free in some cases or at least for a small, one-time fee provided you have Internet access. Carriers charge a monthly or a per-item fee for text messaging and most avid texters are paying between $20-$25 per month for unlimited texting. In comparison, Google Talk, Meebo, and Blackberry Messenger are free apps, Trillian is $4.99, and Beejive is $9.99. These are all free or low-cost alternatives to paid SMS, so why the continuous growth for SMS revenues? SMS texting was introduced in the mid 90’s, but there was a slow uptake. Many were skeptical to adopt this new technology, but only a decade later it is the most widely-used mobile service with 74% of users accessing text messaging daily. The increase in recent smartphone adoption has put more messaging options before us, so why are you still paying your carriers recurring monthly fees for SMS? Data packages. They are expensive and only going to increase over time as it is a hot commodity. It has become necessary for us to remain connected no matter where we are and if the apps available to make our daily lives easier, then we will pay the exorbitant fees and the carriers know this. In addition, company cell phone usage has steadily increased over the years and many companies now provide their employees with smartphones and a data package. Using a mobile messaging app will increase data usage, while SMS is sent without that connection. The bottom line: we’re going to have to pay for it somewhere. If you are a heavy data user, then you may not want to expend additional data usage on messaging, but if you have that extra room on your data plan, you may want to decrease your SMS plan and save some money. It’s probably not a great idea to get rid of your SMS plan altogether, because no matter how many times you tell people you aren’t using SMS, it never fails that a few people will forget and you’ll have that per-text charge that can add up throughout the month to make for a nasty bill. For years, people have complained, and rightfully so, that the media only shows the public what they want it to know. We now that many times we don’t get an entire story and the information we do get may be inflammatory and used as a means to sell additional copies. In the age of social media, the voice of the public can be broadcast to many at the click of a mouse and we decide what is newsworthy. We are now able to relay information without being silenced as the media sometimes is. This has opened a door that can’t be closed and while freedom of speech is our right, we must remember that we are posting to the world and those words, photos, etc. cannot be taken back. It’s much easier to vent or post something negative on a social network than to say it out loud to someone. Just remember that the person you are posting about may see your comment. My parents told me never to put anything in writing; this is the same concept. We are in the early stages of social media still, but remember that a "filter" should be in place when posting anything to the world. Many people, particularly our youth, are fans of posting each thing they do, each place they go, and who they are with every second of every day without much forethought to the consequences. Keep in mind that by placing this information online, anyone with access to your profile is able see your every move. This can be dangerous, especially with the recent explosion of geo-location apps. Stalkers don’t have a hard time following people who leave a bread trail. Thieves watch social networks to find out when people are leaving on vacation and then break in while they are gone. If you post that you are going on vacation, don’t give dates. Post pictures when you get back so that no one knows exactly when you are gone. Simply be careful. Though there are a few downsides to social media, there are many pros as well. We interact with our "friends" and family whom we would otherwise not have much contact with. It’s much easier for people living in different areas of the world to stay current with others via social networks. Grandparents who live out of state can see current photos, videos, etc. of their grandchildren in between visits. Friends who took jobs at opposite ends of the country can still connect. In addition, campaigns for causes allow us to spearhead a call to action right from the comfort of our couch. A mass post to all of your connections via each social network can attract volunteers, donors, etc. that can make a big difference in a campaign. Crowdsourcing, or empowering a community to do something specific on behalf of an organization, can also be a powerful tool. The bottom line: social networking is a great way to stay connected if you follow the etiquette. There is an interesting infographic on one of our Pinterest boards that does a great job of explaining the different social networks and the types of posts you will find on several of the more popular sites. There are many reasons to participate in social networks, and though there are a few reasons to be cautious, the benefits far outweigh them. For further information on this topic, visit our social media page. Google's recent Penguin update has companies looking for different ways to optimize their site without using Google. While they are the most widely-used search engine by far and you should be optimizing your website to assist with your page rank, there are other ways you can optimize your website. Creating a Blog. While some see this as a time-consuming task, having fresh content on your website is one of the easiest ways to increase page rank. Contributing to others' blogs is also recommended. Utilizing Facebook Interaction. Facebook is the largest social network and you'll find that the majority of customers and businesses have their own page. 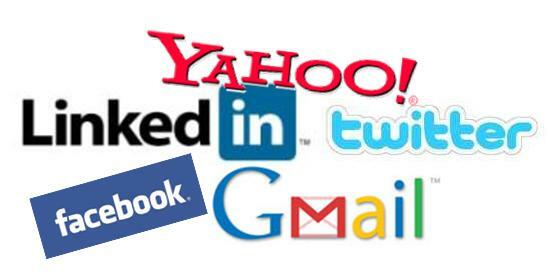 Interacting with them allows their customers to see your comments, therefore, increasing your company's exposure. Social Media Advertising. Facebook, Twitter, and LinkedIn all offer advertising spots that can give your company additional exposure and generate leads. Create More Social Content. A great way to generate leads is by amping up your social content. Tools like HootSuite allow you to schedule posts to several networks within one tool, which allows you to plan ahead. Though you definitely want to follow Google's SEO suggestions, it's not the only way to optimize your website. Doing both can increase page rank, increasing lead generation and sales simultaneously. 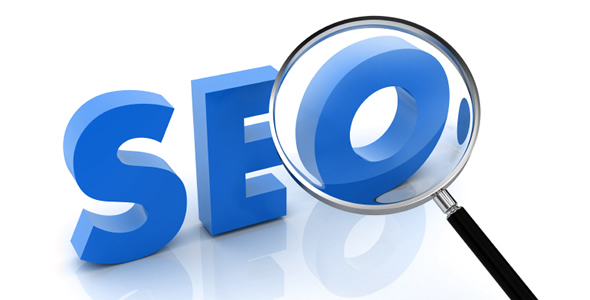 Contact us for a free consultation on search engine optimization for your website today. As technology advances, so have the number telecommuting positions available. Many companies are seeing the advantage of allowing employees to work from home to boost productivity while lowering their overhead on offices. Numbers have increased over the last couple years and now 33% of companies allow some of their employees to work from home on a regular basis. The number of Americans telecommuting at least once every week has risen to 10% and will only increase. It appears that employees with a bachelor’s degree or higher are the largest demographic of telecommuters at 35.6%, with those having some college coming in at 20.1% telecommuters. Surprisingly, the reason given the most when asked why they work from home was to finish work (48%). The reason that generally comes to mind is the flexibility and better home/work life balance, however, that ranked in last place at 35%, tying with being more productive. A whopping 44% said there are fewer distractions at home, boosting their productivity rate. 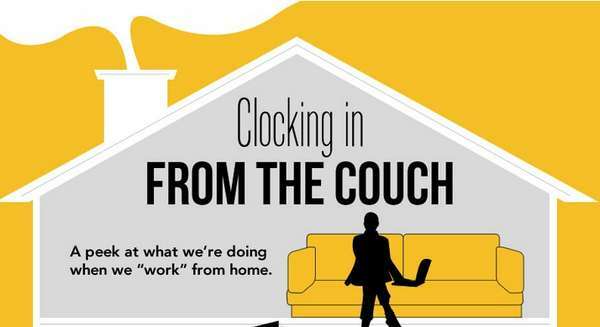 According to an infographic (“Clocking in from the Couch”) by OnlineDegrees.com, a British company (O2) asked 2,500 employees from their headquarters to telecommute for a day. As a company, they saved an estimated 2,000 hours of commuting time and were able to gain 120 hours of travel elsewhere, 240 hours of extra relaxation, 280 hours of extra family time, 320 extra hours of sleep, and 1,040 extra hours of work. Though these statistics seem to show positive results, there are still 50% of employers who are against telecommuting. The main reason cited is the inability to talk to the employee face-to-face (49%) with the worry about less focus coming in at only 26%. As more employers see the benefits of allowing employees to telecommute and our technology continues its advancement, employee retention and productivity will increase as well.